This week, in celebration of the upcoming, very long-awaited, premier of the 4th season of Arrested Development (my most favorite TV show of all time) on Netflix, I am doing a week of Arrested Development-themed recipes. It’s sort of a week-long Arrested Development premier celebration, if you will (“Oh, sure, I will. Look, I have…”). To answer your questions: Yes, I am a huge Arrested Development fan and yes, I am also kind of a dork. What better way to start off my Arrested Development-themed week than with ice cream sandwiches! Right?! There is an ice cream sandwich machine in the visiting area of the prison where George Bluth Sr. is imprisoned. Starting there and continuing throughout the entire series, George Sr. can often be seen eating an ice cream sandwich. No Arrested Development-themed party would be complete without them. And let’s face it, ice cream sandwiches are just awesome. 1 large container of vegan vanilla ice cream (I used Trader Joe's "Soy Creamy" vegan vanilla ice cream). Preheat the oven to 350. Line two square baking dishes with parchment paper. Set aside. In a medium bowl, mix together your dry ingredients. Heat your cup of chopped chocolate with the vegan butter in a in a large glass bowl over a pot of boiling water. Once it is fully melted, remove from heat. Add in the rest of the wet ingredients and mix thoroughly. Dived the batter between the two baking dishes and spread until smooth and even. Place both dishes in the oven and bake for 25-30 minutes until set and the edges are pulling away from the pan slightly. Remove from oven and let cool for 1-2 hours. Once the brownies are cool, place the the two brownie dishes in the freezer. Leave there for 30 minutes. After 30 minutes, take your ice cream out of the freezer. Let it sit for a few minutes to soften. Remove the brownies from the freezer. Spread ice cream on top of the brownie layer in ONE pan. Create a layer that is about ½-1 inch thick and spread out evenly. 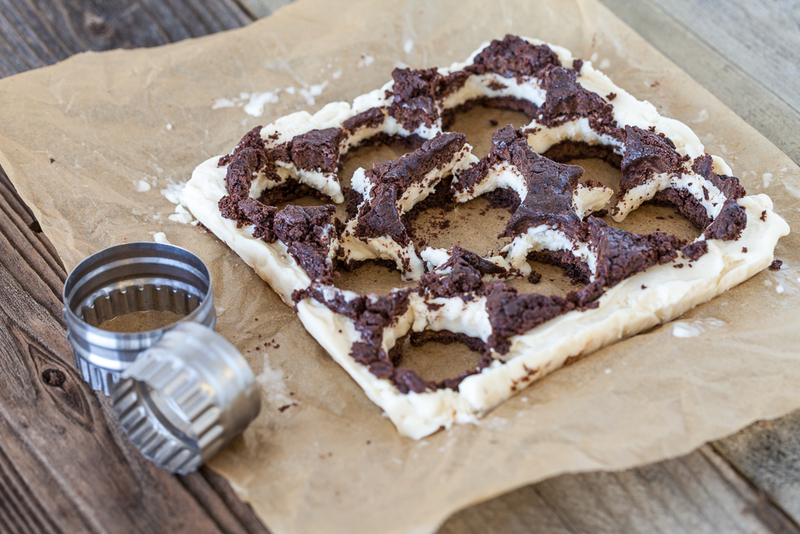 Carefully lift the brownie layer from the other dish and place on a flat surface. Very carefully, lift and place the layer on top of the ice cream layer. Gently press down to compress the sandwiches. Cover the dish and freeze for about 30-60 minutes. Remove the dish from the freezer. Use the parchment paper to lift the big sandwich from the pan and place on a flat surface, like a cutting board. Use a cookie cutter, biscuit cutter or a knife to cut out desired sandwich shapes. You will have to gently push from the bottom, underneath the parchment paper, to get the sandwiches to pop up. Place the sandwiches in an airtight container. Freeze until ready to serve. Enjoy! Are you an Arrested Development fan? Do you have any favorite quotes? 40 Responses to "Brownie Ice Cream Sandwiches"
haha LADY i love you! this is such a fun and awesome week! i love arrested development, too 😉 i watch it every sunday when it’s on ifc for a mini marathon. i love the ice cream sandwich quotes! and this reminds me that i promised dayv a couple months ago to make him ice cream sandwiches, better get on that. 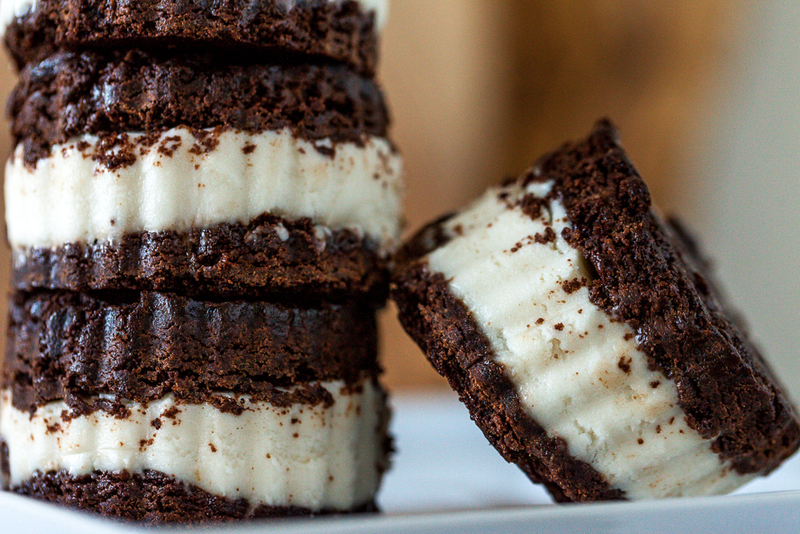 brownie “cookies” are such a genius idea! Haha! I love you too, Miss Caitlin! The banana stand quotes are some of my favorites too. 🙂 And I’m telling you- the brownie sandwich is the way to go. It’s the perfect balance of cookie and ice cream and it is out of this world! So I somehow missed the Arrested Development train when it came through the first time, but I am trying to jump on board now (starting at the beginning). I am all about supporting the netflix only shows, because we cancelled cable earlier this year. Hopefully lots more shows start doing it this way! Anyway, I am really here for the ice cream sandwiches, what a fun treat! I haven’t seen the soy-free vanilla at TJ’s yet, I am going to have to keep an eye out for that for sure. I love this post and theme! So excited for the new episodes too. 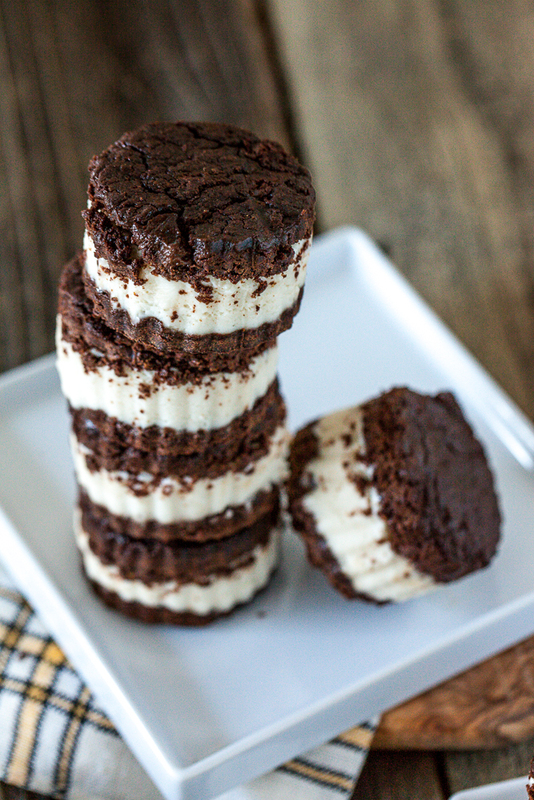 These ice cream sandwiches look amazing!! I love Arrested Development! My boyfriend and I have been watching it all weekend in preparation for the new season. I once tried to put all my favorite quotes on my Facebook page, but there were just too many to fit! Haha. My Sister and i are so excited for the premiere too!!! LOVE the quotes- you are so awesome! And I can’t wait to see your ice cream sandwiches- I’m sure they’re amazing! Look at how perfect those sandwiches are!! 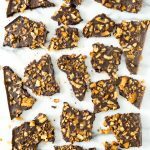 Love these and love that they are smushed in between brownie layers! I love that you’re doing this! I’ve been watching Arrested Development season 1 this week in anticipation. It’s so, so funny! Why was it ever canceled?! So a) I love the inspiration, and b) is polygamy for ice cream sandwiches legal? Because if it is, this may need to be a three-way marriage…thanks for sharing, I love this idea. Bookmarked! These look great! I’ll marry these! So clever! 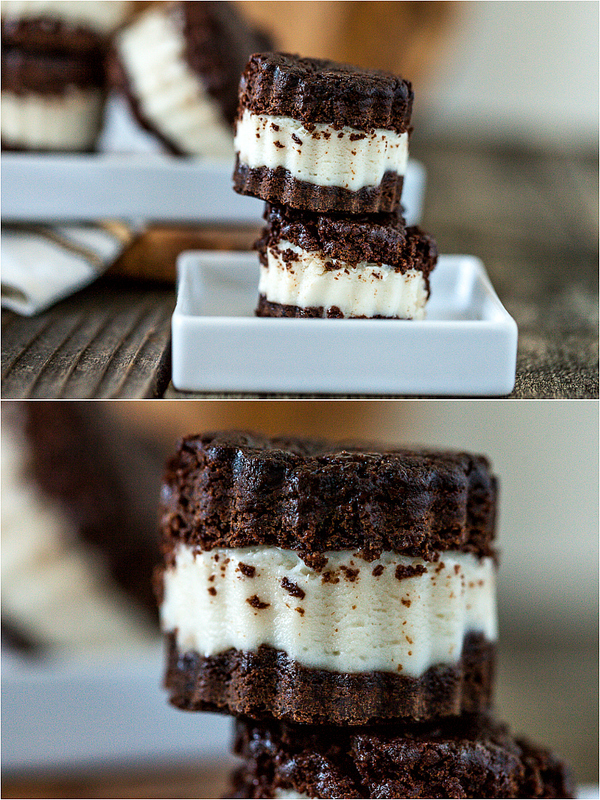 I have only ever made ice cream sandwiches before by smearing the filling on pre-shaped cookies or brownies, never cutting them out like this, but what a great way to get the perfect shape. We don’t have Trader Joe’s near me (boo!) but I love Coconut Bliss vegan gelato. 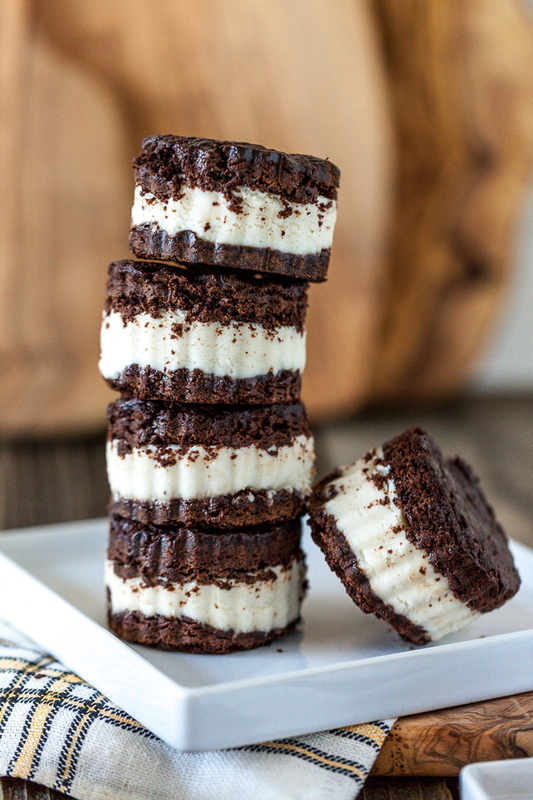 These kinda remind me of those old school ice cream sandwiches with the brown cakey cookie. So good. This is just a way grown up version! I love the way you assembled them…looks significantly more mess-free than trying to do them individually! Good tips! Yum. I hope you ate the part that was leftover after you cut out the sandwiches since that looks like the best part! 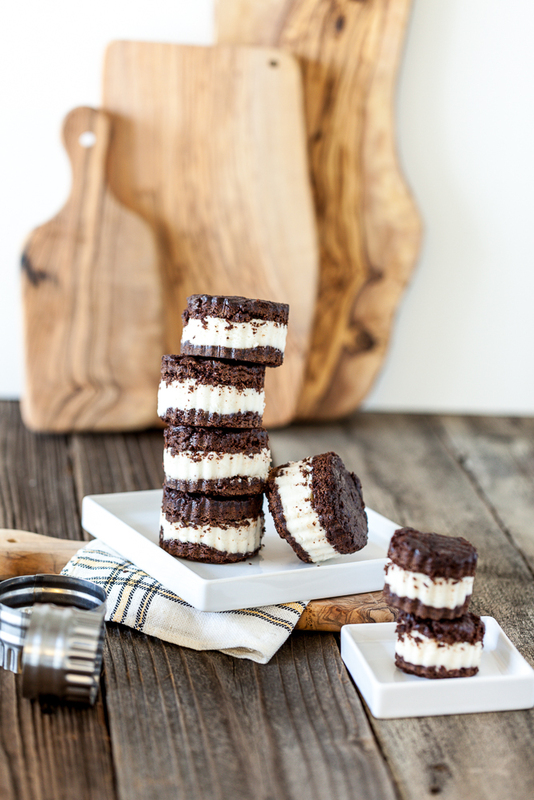 This is too funny–I’m doing an Arrested Development week on my blog too (“it’s the final countdooooown!”) and today I posted brownie ice cream sandwiches. Great minds obviously think alike! “I’m having a love affair with this ice cream sandwich” is totally a classic, and one of the first things I thought of when brainstorming food ideas. Love it! Uh oh, these look way too good. And your method of cutting them out, while fabulous, is way too dangerous. I will eat all the leftovers, I will. Great post! Gabby @ the veggie nook recently posted…grain-free, paleo and vegan carrot zucchini muffins! I need to find a new deflection. My little niece and I made these together. 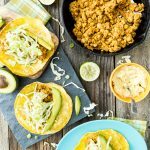 They are a fun kitchen project with delicious results! They ended up being a lot easier than I thought they would be. 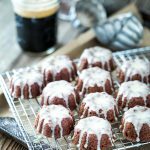 The taste great and I will definitely make them again! Kids love them! These were so good, that my Mom requested a double batch for a dinner party she’s going to tonight. We made them with Wayfare vanilla. Sorry for replying so late, but yes, advance preparation would be fine.